New beds. | love lives on. Many months ago, I ordered new dog beds. Some of this was due to Jake’s need to pee on Melvin’s current bed. Anyway, the order was held up for several different reasons, all of them out of my control. I pretty much assumed the beds were not coming and that I’d be getting a refund. (In the meantime, I assure you, I cleaned and sanitized Melvin’s old bed. I’m not one to make loved ones sleep in urine!). Then, out of nowhere, the beds showed up yesterday. I unpacked them and dragged them upstairs. I went to do some laundry and came back to Melvin, lounging on top of the stack of beds. I know deep down he was sending a message to Jake: “My privates are currently rubbing up against your new bed, tainting it. Pee in my new bed and it’s even more on, like Donkey Kong”. Melvin’s a lover, his trash talk is even adorable. I like that the big one has a bumper! Where did you order tem from? They actually both have a bumper, Melvin is prob just squishing the top one! They are Jax & Bones but I found them on a daily shopping site for half price! I love those! I want to get my boys some matching beds after we move. Hopefully we can get them to sleep in our room on their own beds too! Yes!!! Let’s start a movement! Way to go Melvin standing up for your bed like that! Hopefully Jake got the message not to pee on these. We are a hopeful people! I know! I think he was pretty bummed when I put them down separately, he may have thought that was his new set up! 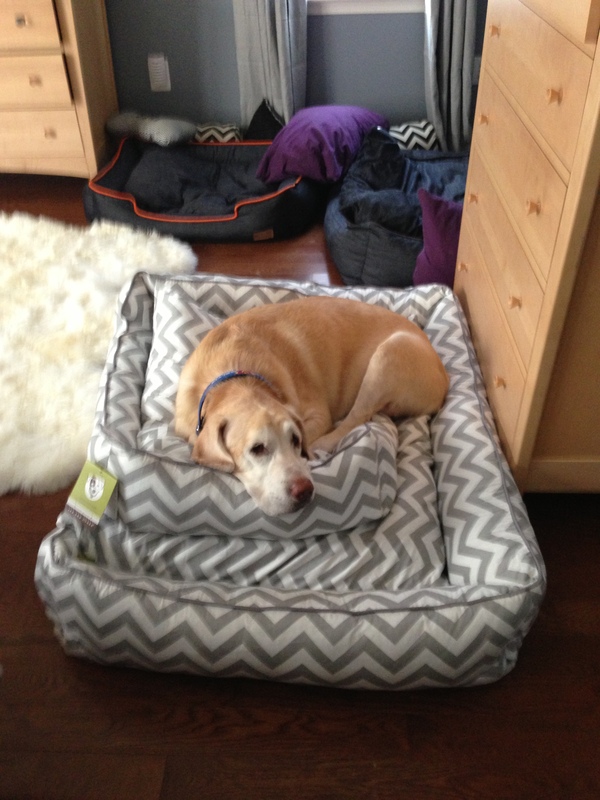 I’m thinking a bumper bed might be a good thing for our new dog. He has flat pillows currently, but I feel like having something to snuggle up against might appeal. Do you have any experience to share? Yay for new dogs! What size is he? I love the bumper beds because they are great for all types of sleepers, especially side sleepers. 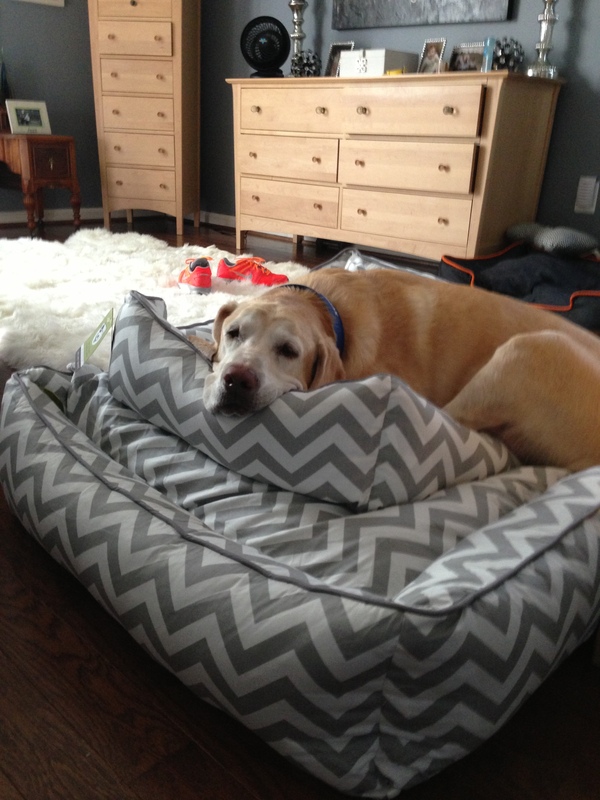 Additionally, they are softer than most conventional dog beds as the middle part is more pillow than foam/mattress. The ones I just got were Jax & Bones and their old bumper beds are PetPlay 2.0. Both can be purchased on Amazon and both often show up on sale sites (Fab.com, OneKingsLane.com, JossandMain.com and inubar.com). You can also just search for bumper beds, several companies make them, it just depends on how cute you need/want them to look! Thanks for all of the details. He’s a 55lb boxer-lab cross. A decent size but not too big. He likes to sprawl on his side, although usually for sleeping he’s a curl up nose to tail kind of guy. 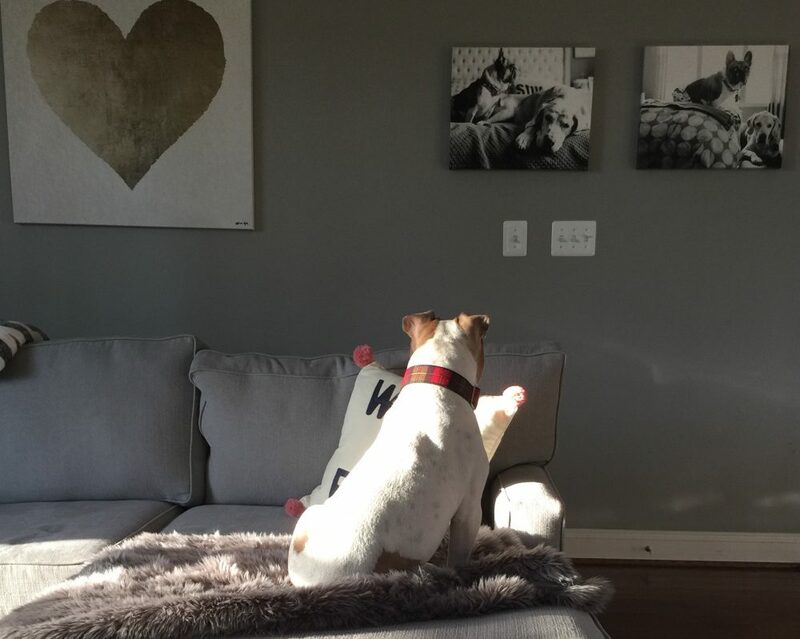 Way to get the upper paw on Jake, Mr. Melvin! Double decker bedtime. Looks good to me!! !